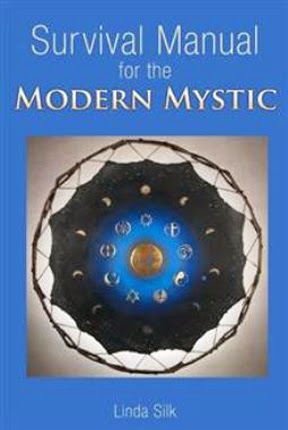 Survival Manual for the Modern Mystic teaches essential metaphysical survival tools for the twenty-first century. With each chapter, measure your personal growth of body, mind, and spirit with specific survival tools. You will find yourself not merely surviving, but instead vibrations with the realization of how loving and powerful you are as a Modern Mystic. Learn how to become the New World and Golden Age change you have been waiting for.Linda Silk shares her own experiences and offers practical and spiritual information. Now more than ever, the Modern Mystic's duty is to: think sustainably, act locally, support globally and respond universally. Linda Silk earned her BS in social sciences from Rollins College in 1985, She began her metaphysical studies in 1960 and later became a teacher in her field; her work in the spiritual real since then has involved many paths. In North America, she was ordained in Christ Universal Metaphysical Church in 1992. She also has practiced native American spirituality and has served on the board of the Spiritual Unity of Tribes, Gathering of Eagles. In India, Linda has made several trips to Sathya Sai Baba’s ashram. As a Reiki Master, Linda is Fifth Degree lineage through Dr. Mikao Usui, traditional Reiki Master. She currently teaches and practices near Cocoa Beach, Florida.